We weren't going to do the garden parties this year, really we weren't! But my children begged and pleaded... how could I refuse? Of all the traditions we've ever established this one means so much to them. 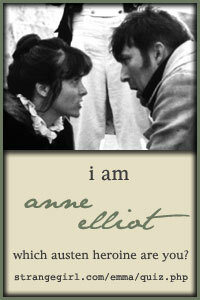 I think it might be the idea of fasting for forty days and feasting for fifty! They gather in the morning, before they begin their lessons for the day and read the bible verse and meditation together taking turns placing the sticker on the calendar. They've even done it when I'm not there, taking it upon themselves completely! The children were fine with the idea of combining a few symbols. The Shepherd and his Staff are both represented in these Shepherd's Pies. Chicken and cheese baked inside biscuits in muffin tins. Not traditional shepherd's pies by any means, I know, but they look like little pies and they have shepherd staffs on them. Good enough! The Sheepfold was represented by the heart shape bowl holding all the white fluffy sheep, I mean, popcorn. It was also our acknowledgement of Divine Mercy Sunday along with the Divine Mercy chaplet we've been praying as a family. I used these Teddy Grahams Soft Paws to make our Wolf's Paw treats. I still cannot find the Voortman's cookies that Jessica uses and my kids aren't crazy about the Tahiti Coconut Cookies anymore. New to us this year was a Ewe and Ram-en Snack mix, I sort of cobbled it together from some suggestions I found online so I'll post my recipe below. It was a big hit and the kids said they thought the Ramen noodles actually looked like bits of sheep's wool. This made a lot so we have snack mix for the week ahead! For our Lamb, I used my lamb butter mold to make a chocolate lamb. I thought I had bought the Lindt lambs that we usually use but I guess my tired brain played a trick on me. By the time I thought to look for them, the stores were empty. This one turned out just fine though and I let the kids believe it was butter for a little while just to surprise them later. Head over to Catholic Cuisine and check out the other garden parties and/or share your Divine Mercy celebrations too! Mix dry ingredients in a large bowl. Melt butter, honey and orange juice together in a pan over low heat. When melted, pour over dry mix. Toss to coat and bake at 350 for 10 minutes stirring occasionally. When done, turn out onto a large piece of tin foil or another cookie sheet and allow to cool thoroughly, stirring occasionally. Like your cookies. I will have to try. I did the party yesterday, but all the kids thought by the end it was too much sugar! This surprised me because they loved the same exact party foods last year -- but it was actually a little victory. We had cut out desserts pretty much through all Lent (except Sundays!!!!) and I was hoping it would curtail their sweet tooths...and it looks like it did! We are planning on looking ahead at this weeks and if there is an overabundance of sweets for the next week, we're going to tweak it! So proud of the 9 year old for suggesting we do a craft instead of extra treats! PS: Almost bought the same tablecloth this year! :) Nice pick. They had a pretty teal runner, too. Your new tablecloth is really pretty and everything looks great. I love BigBoy's gate. Very creative!! I like that idea of feasting after fasting! Everything looks lovely, Charlotte. Your tablecloth is very pretty. You're such a good mama. 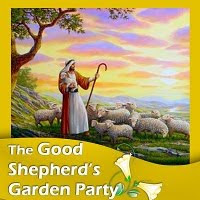 My kids have asked numerous times about the Good Shepherd parties and though I know they would love it I'm just not up for it this year. Tight budget, short on time and overwhelmed mommy syndrome is reigning at our house right now. I still have fake Easter grass all over my floor, lol. My poor kids; they really do enjoy this tradition. We'll be following along with the calendar stickers still, but our parties are on hold for now. p.s. If you could spare some prayers, I would greatly appreciate it. 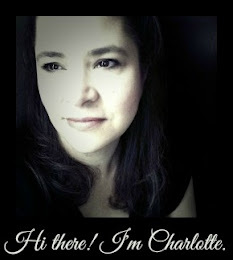 Hi Charlotte! I am joining the party this year and my kids are excited about it. Thank you for all your creative ideas!! Everything looks beautiful!! The snack mix sounds delicious!! Those Voortman's cookies can be hard to find... in our Kroger, they are in a random display next to the cottage cheese, sour cream, etc... weird. But those paw cookies you found are perfect!